Sub-users can also be assigned to a location. This is useful if the business owners wish to manage their own location or one of your staff will manage it and make the updates on your behalf. What you need: an existing sub-user account in your dashboard. Go to the Locations section. Look for the location where you wish to add a sub-user. Use the search field if you have several locations. 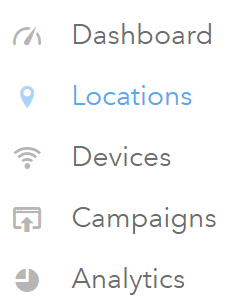 Once you find the location, click on the Settings button. In the Settings section, click the User Access tab. From the drop-down list, add your desired sub-user to the location. To remove a sub-user from the location, just click on the trash bin icon associated with the name of the sub-user.